Lot 47 B.R. 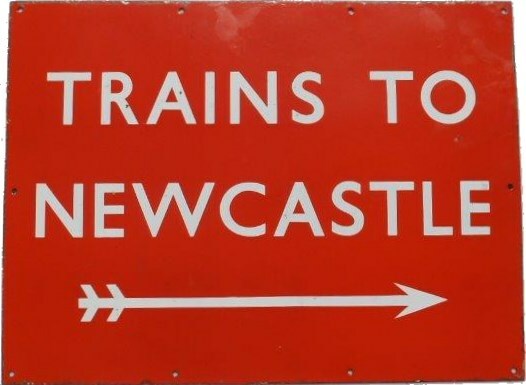 (NE) Unflanged Enamel Station Sign "TRAINS TO NEWCASTLE" With arrow facing right. Good condition. Size 24" x 18".